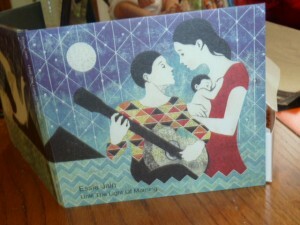 Essie Jain is offering our readers a giveaway of Until the Light of Morning CD and Art Panel, a value of $52. This record is made for every parent and every baby (and anyone else) who needs to rest and head off into the land of sleep. A perfect panel for a nursery wall, the artwork is a dreamlike creation by Iker Spozio. Jain’s CD comes packaged in a small but sturdy paper tri-fold case. The artwork on the front is an original piece of work by Iker Spozio. The front picture is of a couple with an infant. The father appears to be lovingly playing the guitar as the mother and sleeping child listen. 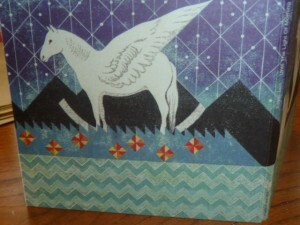 The background evokes a peaceful dreamland by the water, with mountains, swans and a Pegasus against a starry night sky. 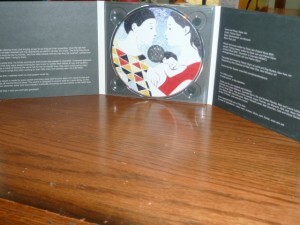 The CD itself bears a close up image of the family. The eight by thirty-three inch panel arrived rolled in a short tube that fit easily into my mailbox. It is on high quality Matte Satin Roll paper that feels like it would withstand handling. Because it fits a standard size frame, it can be inexpensively framed. Jain’s music is soothing and peaceful. I often nursed my toddler to sleep while listening to music or watching TV. As soon as I put this in, he relaxed and dozed off. The music literally carries you away peacefully. I was glad I chose to listen to it at home, instead of in the car! It is so soothing, I probably would have fallen asleep! The next night, I chose to play the music as I was getting all four of the children ready for bed. The normally hectic bedtime routine (baths, teeth, prayers) was notably calmer. My oldest son (7 years old) even liked the music. The tracks contain both instrumental and vocal music. They blend well together, and Jain’s voice doesn’t distract from the lovely instrumentals. They work in harmony to create a soothing melody. It reminded me of the beach at night, when the waves roll in. I think this CD and panel would make a lovely and unique gift for a baby shower or blessingway. It could be coupled with a few items to aid in establishing soothing nighttime routine (perhaps some bath supplies or a lovely blanket). You can purchase your own CD and panel at Light of Morning for $12 and $40, respectively. You can also purchase the CD through Amazon, where it’s eligible for FREE Super Saver Shipping. And just for Natural Parents Network and WaldenMommy readers, Light of Morning is giving a 10% discount on all orders from now through January 17. Enter code Moonlight during the ordering process. For your own chance to win a CD and panel from Light of Morning, enter by leaving a comment and using our Rafflecopter system below. The winner will receive one Light of Morning CD and panel. Contest is open to the US/CANADA. MANDATORY ENTRY: Visit Light of Morning and tell us one thing you have learned about the company! You must enter your name and email address in the Rafflecopter entry system for your entry to count, after leaving a comment on this blog post. Leave a valid email address so we can contact you if you win. Email addresses in Rafflecopter are not made publicly visible. Please leave the same valid email address in your mandatory comment so we can verify entries. Contest closes January 18 at 11:59 p.m. Eastern Time. Laura is a minivan-driving stay-at-home mother to a herd of four children and a dog. 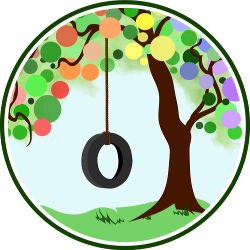 When she is not driving her kids to activities, she blogs at WaldenMommy: Life Behind the Red Front Door. Trying to Conceive Naturally: What Are The Next Steps? Shame it’s only for US/CAN… 🙁 I love this CD…it is beautiful! The company seems to have great success in England and other countries, I’m surprised I haven’t heard of it yet! Thanks for the giveaway! The baby gift package is great, it includes those adorable onesies, I would love to get one! I learned that this record is designed to unwind itself as it goes along, as the music becomes softer and more relaxed, eventually becoming as instrumental as the heart beat. I think my son would benefit from this one – perfect. Anothe item would be the “What a big wide world” video. I learned that the record is designed to unwind itself as it goes along, as the music becomes softer and more relaxed. I like the Baby Galaxy Rocking Horse onesies they have for sale. They have publication reviews of other great reading material. I learned that they have a video of “What A Big Wide World” that you can watch on you tube – I think my son will love watching it with me. Plus, the music and animation are beautiful! My son and I would both enjoy the cd and wall panel- it would be perfect for winding down in the evening or while we rock in our rocking chair! The onesies are size 6-12 months.